Recently, Apple has announced iOS 11 at its Worldwide Developers Conference 2017 keynote on 5 June that comes with a comprehensive range of features and some major improvements over its previous version. App developers can download a preview of iOS 11 through its official website. 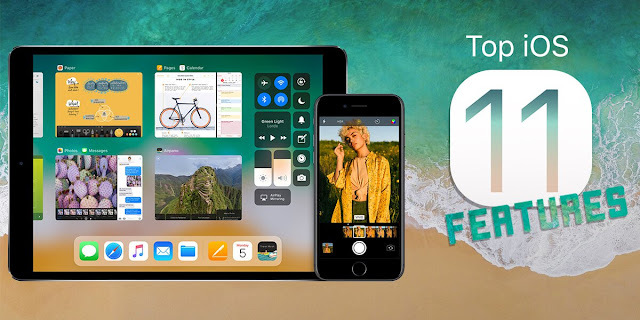 If you and your family members own multiple Apple devices, and use them to share media such as photos and videos, it makes no sense for each member to have their own iCloud storage plan. Thankfully, iOS 11 makes it possible to have shared iCloud storage plans. Up to six members of a family can share a common iCloud storage plan between them. This can be done without having to incur any extra costs on a monthly basis. Along with this feature, a lot of other features are there. Please check the infographic for more detailed information.